A formal complaint has been lodged with government health authorities around last weekend’s Chemist Warehouse- Swisse-Voost AFL grand final promotion (PD 28 Sep). The promotion, described by the company as the largest it had ever undertaken, was described by Dr Harvey as “irresponsible because it was distributed at public venues containing children of all ages. 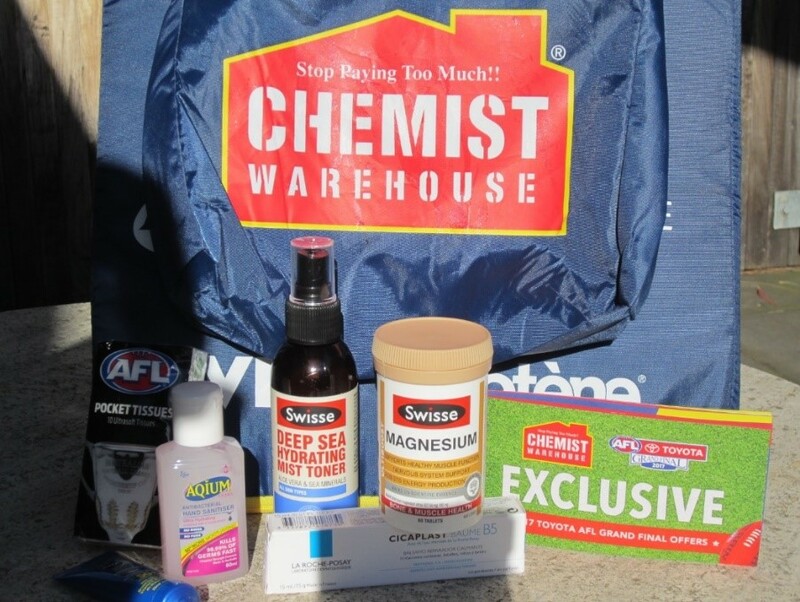 “Patrons were encouraged to take the packs home,” he said, with items including a free sample of Swisse Ultiboost Magnesium tabs. “The container was not childproof and had no information on the recommended upper limit of magnesium intake (as a supplement) for young children,” Harvey wrote in his submission. He argued that the promotion “breached the Object of the Therapeutic Goods Advertising Code 2015 (the Code) and the spirit of s.4(8),” while claims on the product pack, the promotion to children and the exclusive ‘buy one, get one free’ offer also breached the Code. The Therapeutic Goods Administration, the Australian Health Practitioners Registration Authority and the Australian Competition and Consumer Commission were all contacted by Harvey, who suggested the company distributing the 110,000 packs of Swisse product worth $20.99 each be fined the equivalent amount of the retail value of the giveaway, or $2.31 million. This entry was posted in Complementary medicine, Pharmaceutical Promotion and tagged ACCC, AHPRA, Chemist Warehouse, Magnesium, Swisse, TGA, Voost. Bookmark the permalink.